There are 49 reviews of Lumière Noire pour Homme. Lumière Noire pour Home is bright floral with a burnt spice edge to open up the top notes. The combination of key ingredients yields an all new something unique that quietly distills the bright opening into a cool soft rose patchouli. The floral is hardly recognizable as rose but nonetheless provides a radiant presence that keeps a wide open attitude for the first few hours that is not soft and never sultry. I would not compare this to other rose scents as it doesn't really declare a rose essence until the spice - mugwort? - begins to wear off and a light pure rose essence with a touch of patchouli drifts outward and becomes the central character. What an extravagant and superlative blend by Mr. Francis Kurkdjian. The perfume after an hour or so is distinctive, well mannered, persistently positive with a touch of mystery and private uniqueness - Lumiere Noire. Soapy, powdery and spicey with a good amount of cinnamon. Reminds me of Boucheron Jaipur Homme but I do like this better, much better. It's not as harsh or aggressive but this also makes it lean more feminine. The rose note is there but it's really fighting everything else going on to be smelled. Overall, a solid fragrance that should be loved by some. Feels best for cooler weather. I was wearing it in a very cold weather, at home, in the smoke-filled pubs, in old big empty cinema and it was always there, but every time different. It's like you smell some kind of game for throne between ingredients which make various alliances and sometimes cooperate and sometimes they in war. Name perfectly describes what you witness. Unique perfume. It seems to me that Francis Kurkdjian sometimes makes simple fragrances that do not change because, as he mentioned in one interview, everything revolves around top notes which sell the product. This is a perfume made, deliberately or not, for those who want the fragrance to be in constant change. Do not be afraid of rose here, most people will not even recognize it except in some middle part of journey. Not very lasting but definitely very interesting, it grows on you. This is truly awful although perhaps I am biased as it reminds me disconcertingly so of how the elderly cleaning lady smelt who used to swirl around the house noisily with the vacuum cleaner when I was a child. Cheap perfume and bleach. Phew. She herself was a kind cheerful soul so its not by negative association. This is just dreadful but look at the ingredients. Patchouli and mugwort or whatever the spices added to the Rose...And to think you pay a premium for this. Cheap 80s perfume and bleach. Enough said. When I first tried this on paper at a store - it was a gorgeous rose accord, bright and airy, radiant, and hints of woods. Once I received a sample a few months later, it was quite different: a dull, airy, accord of woods with hints of rose. There is hardly any patchouli, and a prevailing mustiness. The mustiness subsides after a while, with the rose becoming a bit more prominent with some added hint of spices. One spots the vaguest traces of cardamom and cumin. Thereafter it soon subsides into an insubstantial dry down. Additionally it is thin, weak, and overall - nondescript. Anyone curious about this should consider Cartier's Declaration d'Un Soir as a better alternative - or even, perhaps, Domenico Caraceni 1913. Or better still, step out a bit more and consider the absolutely superb Eau de Protection / Rossy de Palma by Etat Libre d'Orange. Lumiere is the second fragrance I have sampled from MFK. It's an odd sort of scent that I initially really liked, but after several wearings I find it's a bit too unusual for me to want in my wardrobe. The note pyramid says "spiced rose" but it ought to say "sweet" or "candied" as the rose note has a significant amount of sugary aspect, especially in the first hour. The sweetness cuts down on the dusty or powdery aspect typical to masculine rose fragrances, but unfortunately makes this seem more like a teenage scent. There's an underlying tone of patchouli and dry spices, but it remains rose centric but with very sweet chewing gum aspect. It's a nice scent, but not for a 50 year old man. Although an EDP the sillage is relatively tame but the longevity is excellent, going well into the evening from three sprays. I just can't wear this one though, so a generous neutral for me. 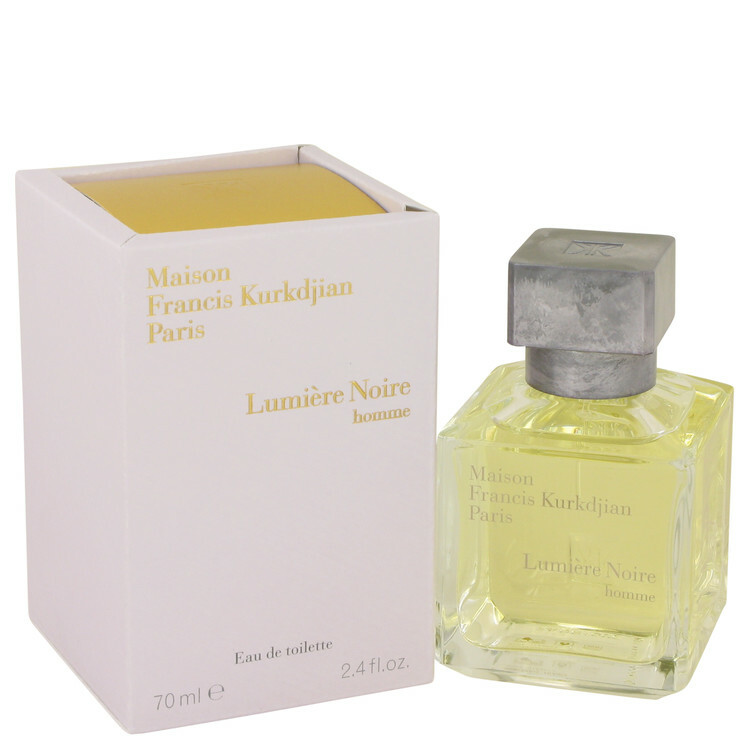 Maison Francis Kurkdjian Lumiere Noire Pour Homme Eau de Toilette-2.4 oz. There are no member images of Lumière Noire pour Homme yet. Why not be the first? Maison Francis Kurkdjian - Lumiere Noire pour Homme???? 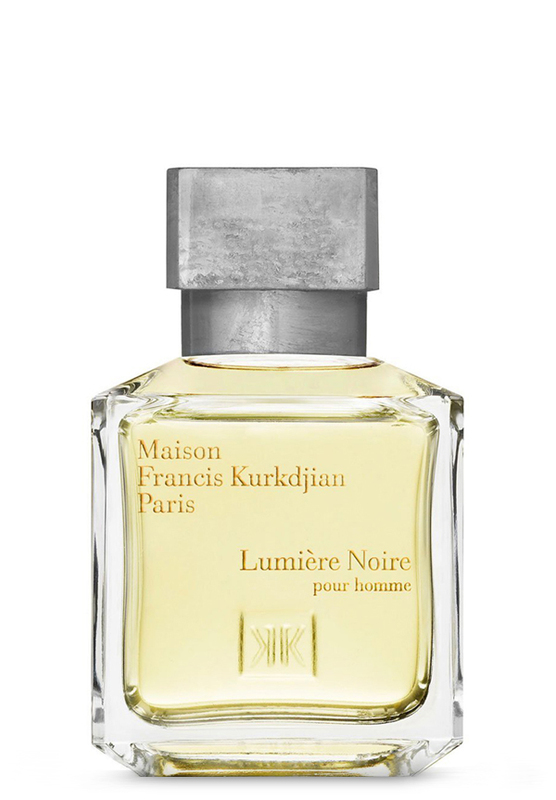 Maison Francis Kurkdjian Lumière Noire pour HOMME - WORTH IT?